I hope Ed doesn't get mad at for putting this here. I came across a selection of step drills and I'm just offering them to my knife making acquaintances as they might be of help to some of you, and they are quite affordable. Here I have copied and pasted the direct quote as I put it on Facebook. If you need me to remove this Ed - I understand. "I have acquired a small quantity of all of the bits I have listed below in various sizes. They are available at this time. 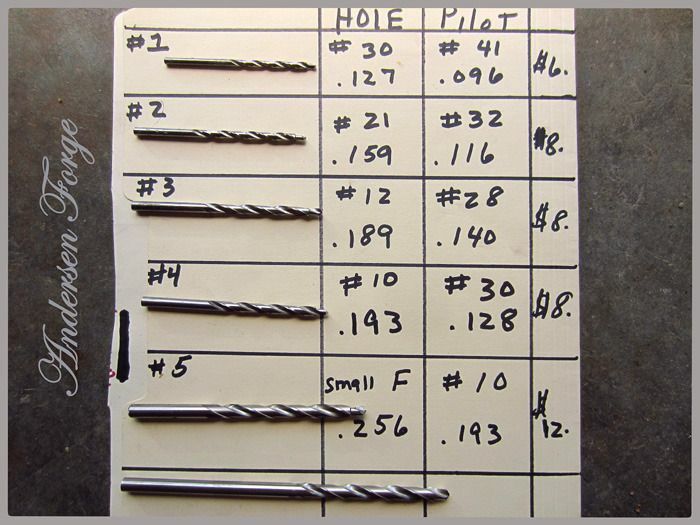 They are very high quality aircraft drill bits. They were not made specifically for us knife makers to fit our needs. But they will suit many uses by both fixed blade and folder makers alike. You may need to enlarge the pilot hole after drilling, or by spinning, maybe reduce a screw head, etc. It is up to you to figure out how to use them. I need you all to read this!! I have been bombarded by questions from guys on Facebook, where I also have these listed, asking me if they will fit this size screw or this type bolt or that size Corby, etc., etc. I have NO IDEA!!! what they will fit, as I don't know what you use. 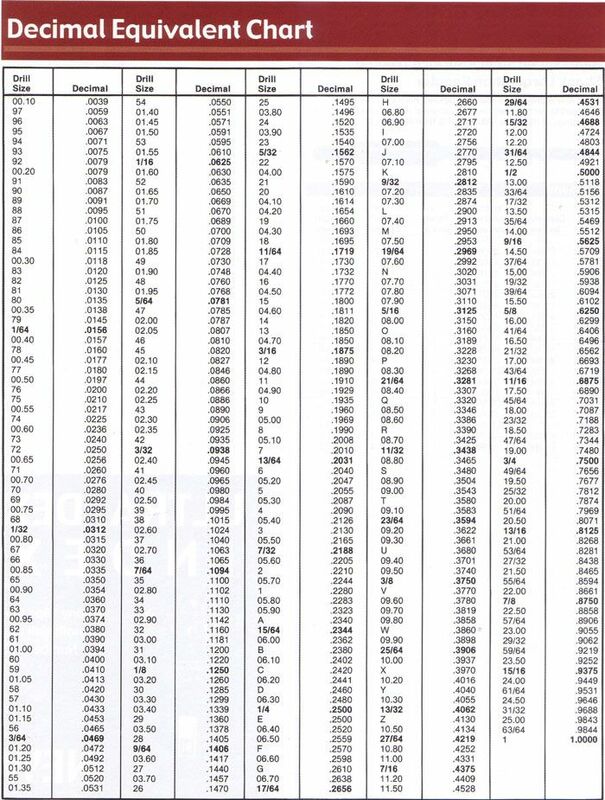 I give all the dimensions of the bits on the chart. YOU!! need to figure out how they will be of service to you. I'm making next to nothing on these other than a couple bucks. I do not want to spend any time more than necessary answering questions. I do know that a 1/4" step drill from a popular knife supplier runs $32.00. I have numbered them 1-5. And priced them from 6-12 dollars. I need a $25.00 minimum order to make it worth my while to go to the post office. Guys - I live in northern Minnesota and I live 24 miles from town. 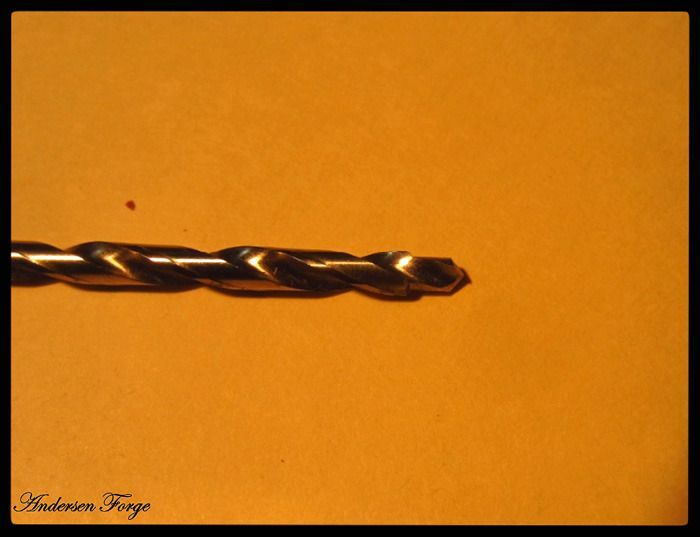 I'm not going to make a run to the post office for one $6.00 drill bit. The largest one - which is a few thousandths over 1/4" - is about 6 inches long. In the picture is a shorter one. I simply ground into it on the corner of my platen with a 60 grit belt and cut it off to make it shorter. I will NOT do this for you, but I offer it as a suggestion for making it more workable. At the bottom of my home page is a Paypal "BUY NOW" link. Use that for payment to me. In the comment section on Paypal tell me how many of what numbers you want and I will mail them to you next time I make a trip to town.And make certain that the address information supplied in Paypal is where you want them sent - 'cause that's where I'm sending them!! Please keep any relevant questions here on this page and not by personal messaging. If an answer to your question can be seen by everyone, then it may keep someone else from asking the same question.